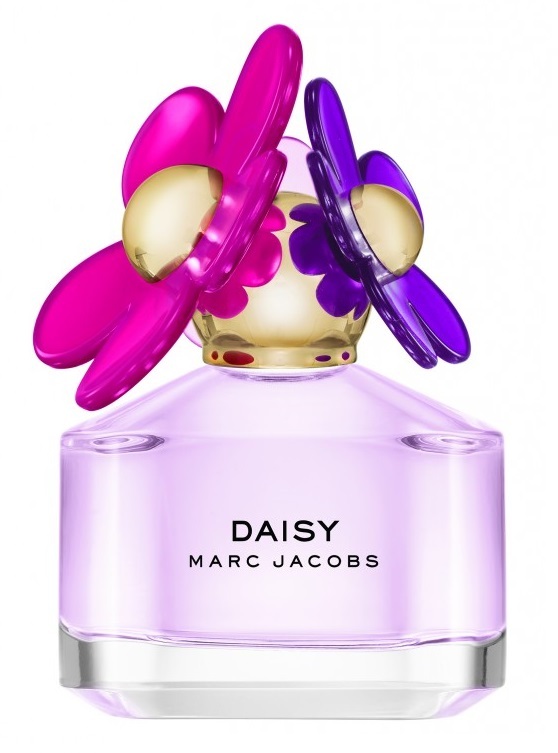 Daisy Marc Jacobs Sorbet editions are the new limited edition Marc Jacobs fragrances that launch next month bring a new twist on the original Daisy Marc Jacobs fragrance. 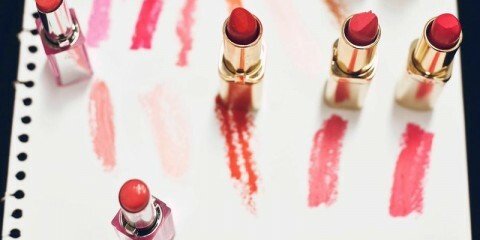 Daisy Marc Jacobs Sorbet edition is a succulent blend of sheer florals with a hint of fruit. The fragrance opens with a juicy blend of pear and passionfruit whilst a crisp Jasmine brightens the formal muguet and woody notes leave a warm dry down on the skin. 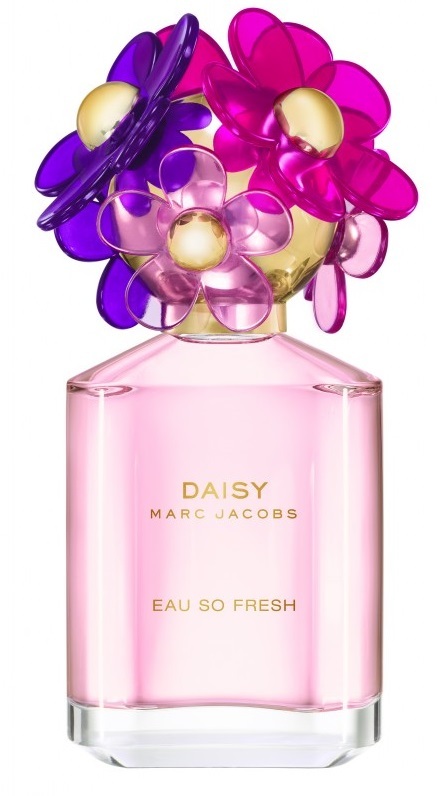 Daisy Marc Jacobs Eau So Fresh Sorbet edition is a dewey, fresh and fun fragrance that evokes happiness with a sweet blend of fruity florals. The fragrance sparkles with effervescent notes of juicy mandarin and apply blossom with fresh magnolia and wet violet bloom mingling with creamy woods. The design of the bottle is a playful mix of vibrant jewel tones in vivid translucent hues. Sheer daises bloom from the sorbet edition cap in luminous shades of light pink, fuchsia and purple. Complementary fragrance colours illuminate the bottles – Daisy Sorbet Edition in an enticing shade of pale lilac and Eau So Fresh in an alluring blush pink. Daisy Marc Jacobs Sorbet Edition is available in a 50ml Eau de Toilette Spray (rrp $79) and Daisy Marc Jacobs Eau So Fresh Sorbet Edition is available in a 75ml Eau de Toilette Spray (rrp $89). 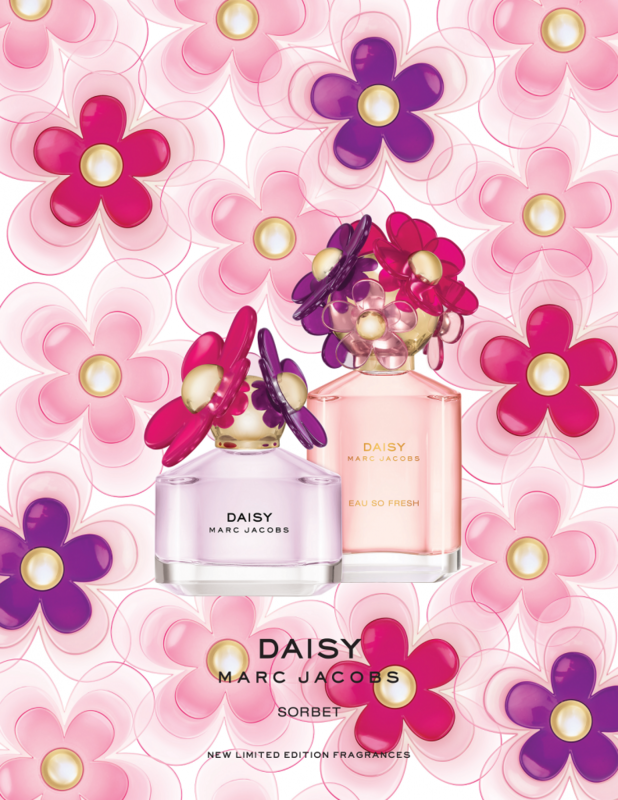 The Marc Jacobs Daisy Sorbet editions are available from February 2015 at leading departments stores and selected pharmacies.